Aligned with STEP’s 2018 Strategic Plan, the staff and Board of Directors of STEP have approached the St. Louis Park City Council with a proposed vision for a collaboration. 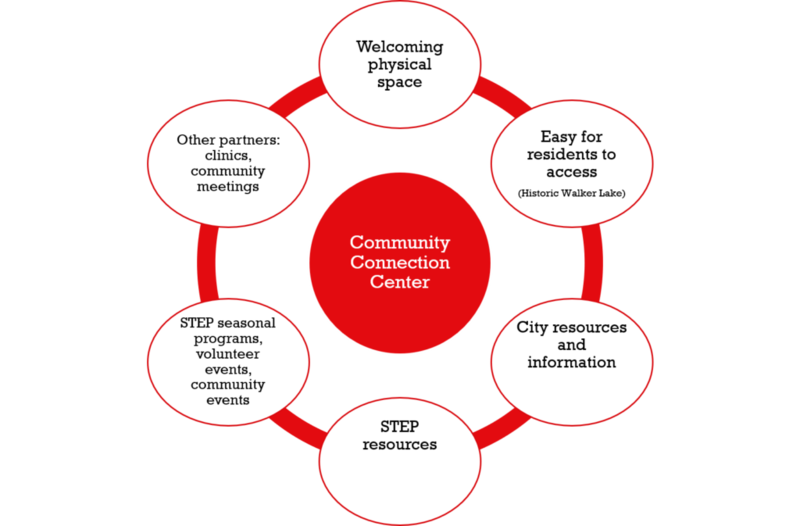 The vision is for a place for residents to come to be connected to city, STEP, and other vital services. It would allow STEP to enhance and expand its current offerings. As the process develops, updates will be posted here.